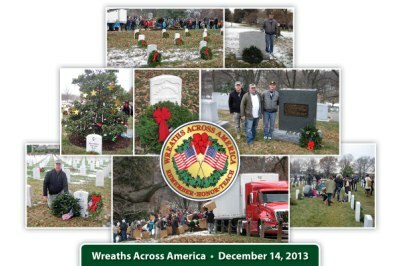 Dec 16 - Wreaths Across America: Those volunteers who wish to participate should arrive around 0930 hours and meet at McClellan Gate (Near area 60). 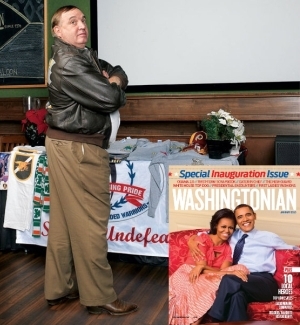 Sept. 30 - Touring Washington, D.C.
January 17th, 2013 - PEP receives the 2012 Washingtonian of the Year award. 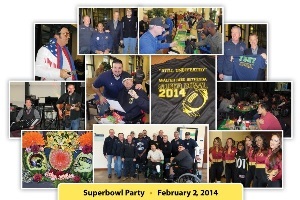 February 3rd, 2013 - Superbowl Sunday Show at Walter Reed, Bethesda. 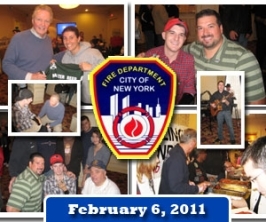 Event is co-hosted by PEP, NYFD, USO, and other groups. 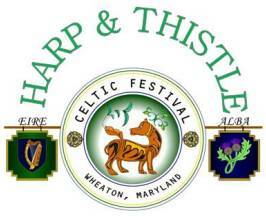 May 23, 2013 - Memorial Day Weekend BBQ with Harp & Fiddle. Site to be determined. 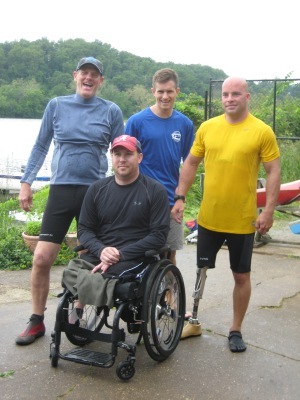 May 2013 - Second Annual WW & Amputee Kayak Races on Potomac River, Washington Canoe Club, Canal St., Georgetown, Washington, D.C.
November 11, 2013 - WW Sports Car Encounter with SCCA, Summit Point Motocross Track, West VA.
December 7, 2013 - Celebrate Pearl Harbor Day in Baltimore with last regional survivor of the attack. Lunch at James Joyce in Baltimore Harbor area after USS Taney (CG) celebration. Taney is the last surface warfare ship from the Pearl Harbor attack. 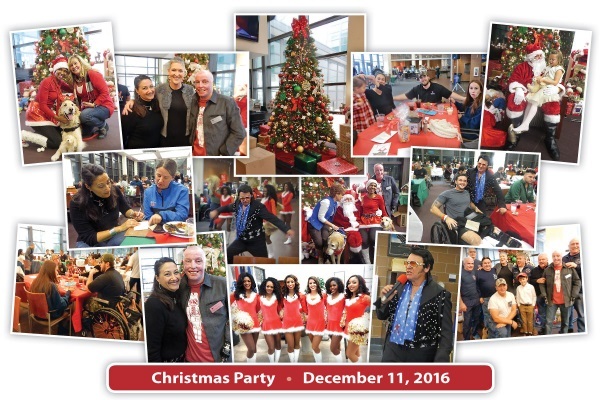 December 8, 2013 - Christmas Party at Building 62, Walter Reed Campus, Bethesda. 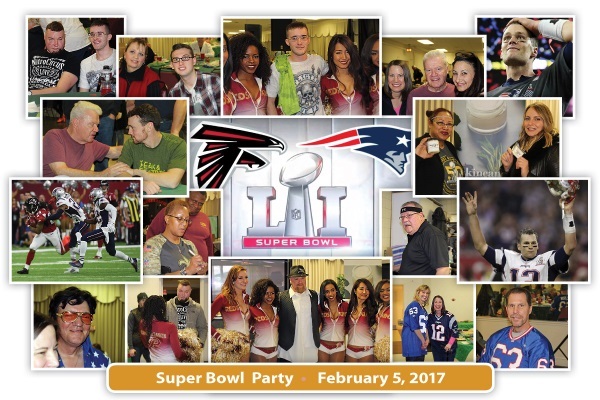 February 5 - Superbowl Party on the Campus of Walter Reed, Bethesda. 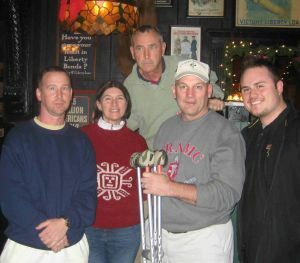 March 16 - PEP sponsored Special Operations Command - St Patrick Reunion in Bethesda at the Harp and Fiddle. April 24 - NRA Indoor Range Shoot for WW. 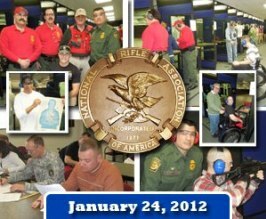 Conducted at NRA, Fairfax, VA. Noon until 4pm, lunch provided. 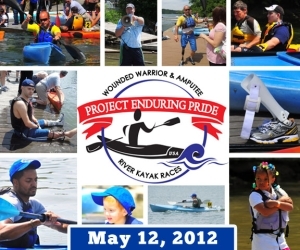 May 12 - National Wounded Warrior & Amputee Kayak Race. A middle distance event co-hosted by the USOC Paralympic and River Runners of greater Washington DC. 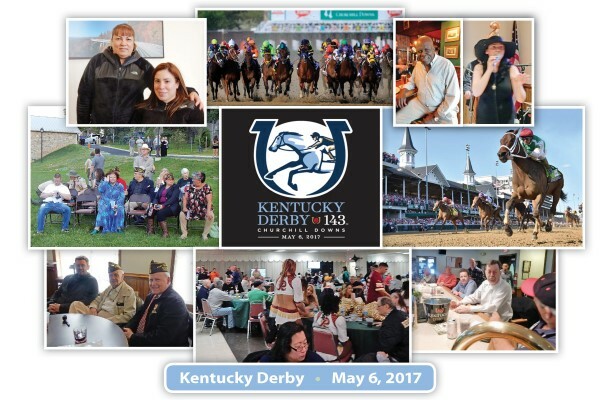 All WW and military amputee are eligible to participate. May 24 - PEP and Ranger Association WW Memorial Weekend BBQ at Harp and Fiddle in Bethesda. Kicks off at 4:30. 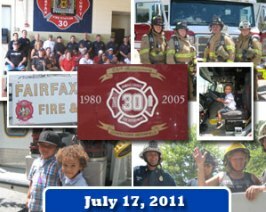 June 17 - 4th Annual Fairfax County Firehouse BBQ hosted by Fire Company 30, downtown Merrifield, Virginia. July 9 - Annual DC Fireboat Cruise and BBQ. 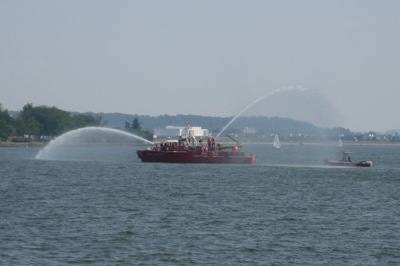 August 4 - Baltimore FD and Fire Boat Team at Fort McHenry. September - Country Club Gold Tournament for WW. 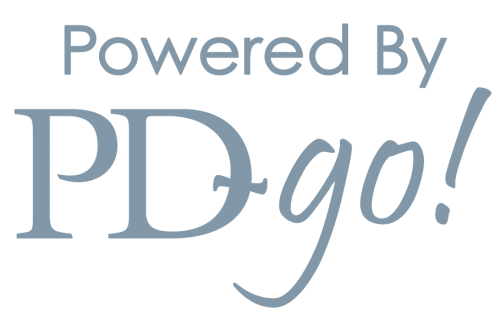 Foursomes for 18 holes of golf, followed by evening dinner and silent auction for WW. 10am until 7pm. 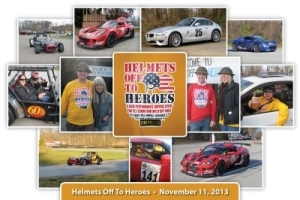 November 11 - at Summit Point Race Track, SCCA and Ferrari Owner Club of American, "Warrior Drive and Ride"
November 15 - Trades Job Fair, Walter Reed, Bethesda. 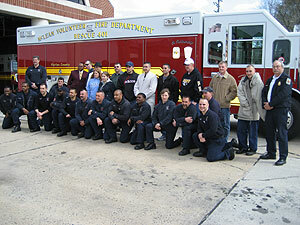 Eight trade related organizations and companies set up a job fair for wounded warriors. June 17, 2011 - Maryland Special Force Association sponsored WW Joint USNR with Special Boat Team 20, Little Creek, Fast Cruise and Barbecue in Baltimore. 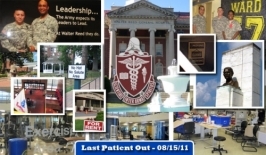 August 13, 2011 - at Kilroy's in Springfield. The Wounded Warrior Harley Davidson Rally. Fifty classic and current HD bikes on display with rides for all WW who want them; instructors standing by. Music and good food for all. 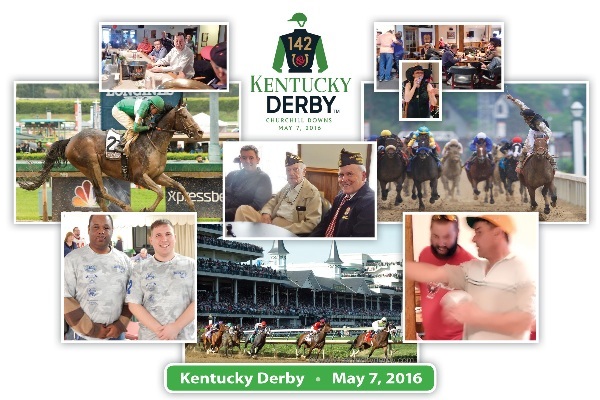 Commences at 2:30 PM until 7 PM. Sponsored by WNC Bike Club of Northern Virginia. Approximately 30 WW will be in attendance. October 1, 2011 - Second Annual Fairfax American Legion invitational wounded warriors to their Luau in Fairfax City, Virginia. Band music; luau cooked pork prepared by American Legion Sons of the Legionnaires; Competition Darts. Event is from 3:30 until 7 PM. 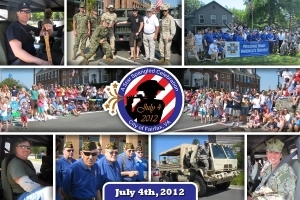 Great time had by all at Post 177 in Fairfax City. October 22, 2011-Vienna, Virginia - Wounded Warrior “Salmon Run” at American Legion Post 180I, Center Street, Vienna, VA. Fresh caught Salmon air shipped via Alaskan based aircraft to Northern Virginia. Music and a great BBQ from 1:30 PM until 6 PM. November 9, 2011 - at Blackfin Restaurant, 4901 Fairmont Ave Bethesda 20814. "Welcome to the Wounded Warriors Event". 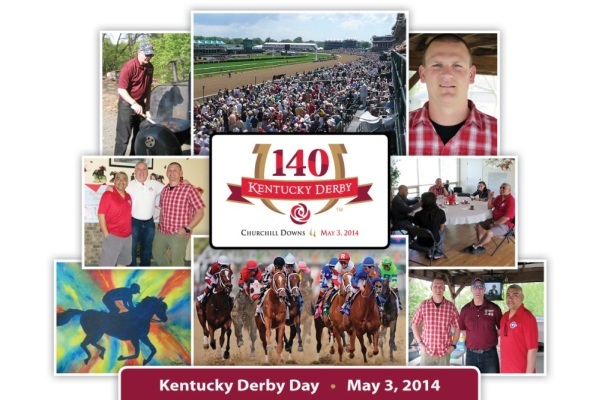 Auction (Like private stock red wine from California and Raffle of gift cards and many more items. December 2011 - Holiday WW gatherings at Maryland and Virginia restaurants with live music. December 10, 2011 at 8 AM meeting at Arlington National cemetery, “Wreaths across America”. Casual dress and be careful of the cold. May 2010, American Auxiliary tour of the wards and Mologne House. 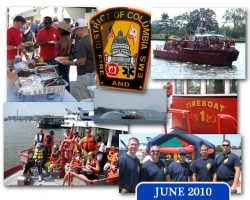 June 12 (with rain date June 20th), DCFD fireboat cruise on the Potomacand barbecue. 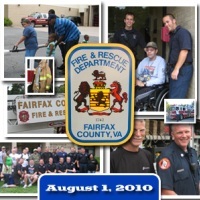 August 1, 2010 - Fairfax County 30, Downtown Merrifield, Equipment demonstration and Firefighter BBQ featuring "Rookie" stew. 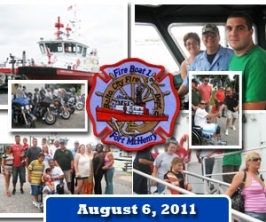 August 2010 - Baltimore harbor fire department cruise and barbecue. 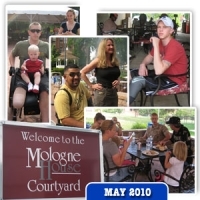 September 18, 2010 - Wounded Warrior Luau in Fairfax. October 2010 - An originally written three act play, “Mystery from the wards” put on by Blair Mansion, Washington DC. 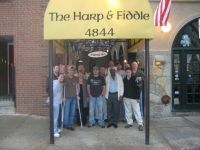 November 2010 - Concert at McGinty’s of Silver Spring. Sporting event entertainment at the Harp and Fiddle, Bethesda, MD. Wounded Warrior training and Cowboy Rodeo in Barnesville, MD.